It’s that time of the month again — Mystery Chocolate Box revealing time! Today, we’ll be opening up the May 2017 box and showing you what mysterious but delicious chocolates you enjoyed. We actually included some really interesting bars in this box (including a U.S. Mystery Chocolate Box exclusive bar), so we’re really excited to go through this box with you. This bar is what happens when you let a toddler loose in Trader Joe’s and tell him to grab some things that he’d like to put in his very own chocolate bar creation. Or that’s our story, at least. The real one makes much more sense (we’ll tell how it was REALLY created after we reveal it below). …oh, and it also has cacao nibs. That’s EIGHT, yes count them, EIGHT inclusions. That’s a Mystery Chocolate Box record. Quite impressive in itself. Now, let’s get to the real story behind this chocolate bar. While we love the idea of this bar being conceived by a toddler with free reign in the fruit and nut section in the store, the reason for this bar’s existence is actually something much more logical: health. It’s actually this chocolate maker’s idea of blending anti-oxidant rich superfoods with dark chocolate that created this bar! So for each delicious bite that you take of this bar, you’re actually consuming eight superfoods. That’s a win-win if we’ve ever heard one. Okay, first off, we’ll go ahead and state the disappointing: this bar only has two inclusions. Yeah, we know. What a letdown. What, they couldn’t think of five or ten other flavors to add? They must have not been wearing their creativity hats when they made this bar. Anyway, all kidding aside, let’s go ahead and tackle this bar. If you’ve been around for a while, you might have recognized the signature creamy inside of this bar — it’s infused with a ganache filling rather than regular chocolate throughout. We’ve included a couple of these bars in previous boxes (but in different flavors, of course!). Other than that, there’s really not a whole lot to say about this bar other than it’s delicious and way too easy to eat the whole thing at once (don’t ask how we know). 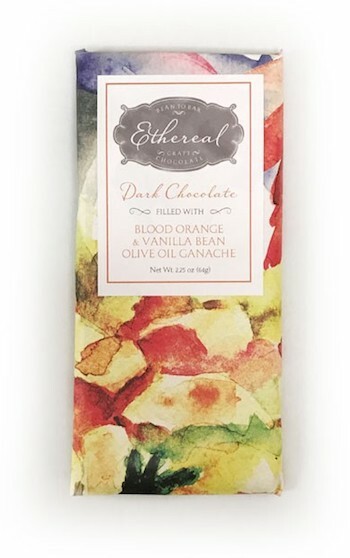 If this bar made you think of the Dark Chocolate with Raspberry & Vanilla (July 2016) and/or Dark Chocolate with Sweet Basil & Cherry Blossom (October 2015) bars, then that’s for good reason — they’re all sister bars (and personal favorites)! If you haven’t experienced these creamier chocolate bars, then you’re missing out. Order some so you can try it! As of now, this bar is EXCLUSIVE to Mystery Chocolate Box in the United States! The box that you received from us last month is the ONLY place in the country where you can try this bar. So that’s the exciting part. What about how this bar actually tasted? Sea salt and lime! 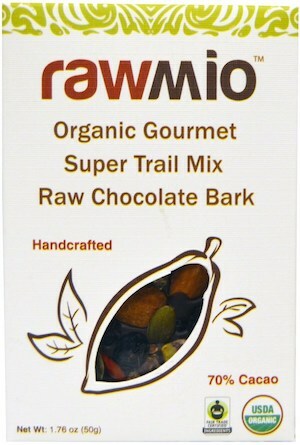 This bar quickly became one of our personal favorites thanks to the fantastic, smooth milk chocolate. 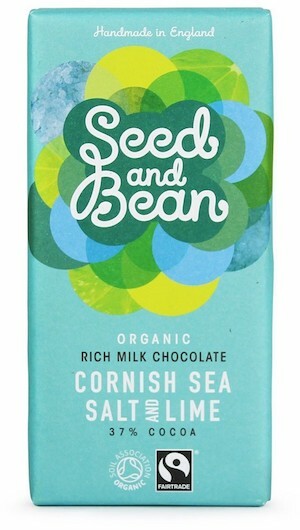 If you love milk chocolate with a bit of sea salt, you’ll love this bar. And if you love robust, wide-ranging chocolate catalogs with many different bars and inclusions, then you’ll also love Seed and Bean in general. They have one of the most impressive offerings of chocolate bars with inclusions that we’ve ever seen. Very impressive! We hope you loved this box! What did you think? Leave a comment and let us know. No Replies to "May 2017"